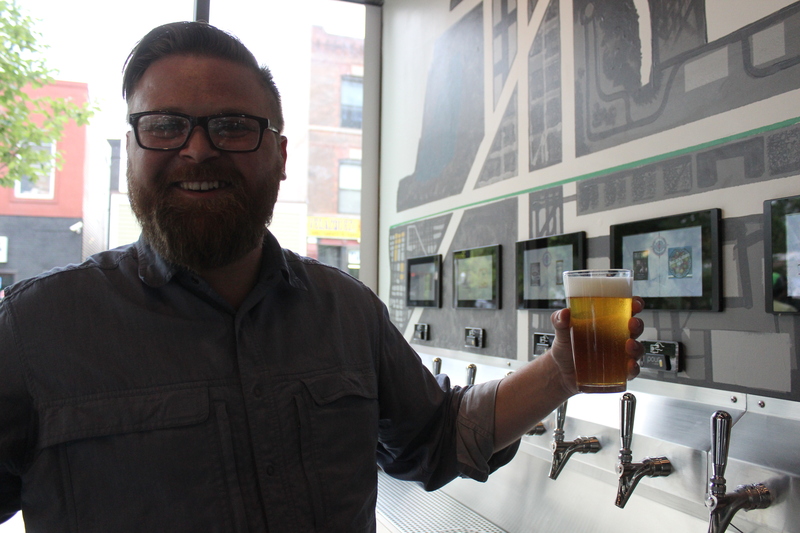 Navigator Taproom, 2211 N. Milwaukee Ave., opens for business Saturday. LOGAN SQUARE — The latest bar to join the neighborhood has serious do-it-yourself vibes. Logan Square's first "pour your own beer" taproom, on the ground floor of the "L" luxury apartment building at 2211 N. Milwaukee Ave., debuts to the public Saturday. Longtime friends Erik Swanson and Tim Enarson, both 36, are behind the bar, which they've dubbed Navigator Taproom. The way it works is customers will be given a card when they walk in, which they will enter into a slot above their chosen beer or wine tap. 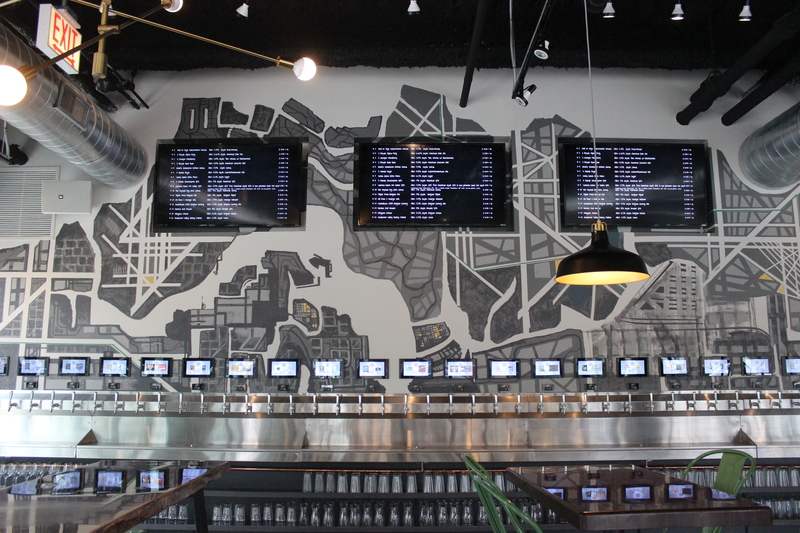 The bar is offering a rotating selection of about 40 beers and 10 wines on tap along the back wall, decorated with city grid maps by muralist John Airo. 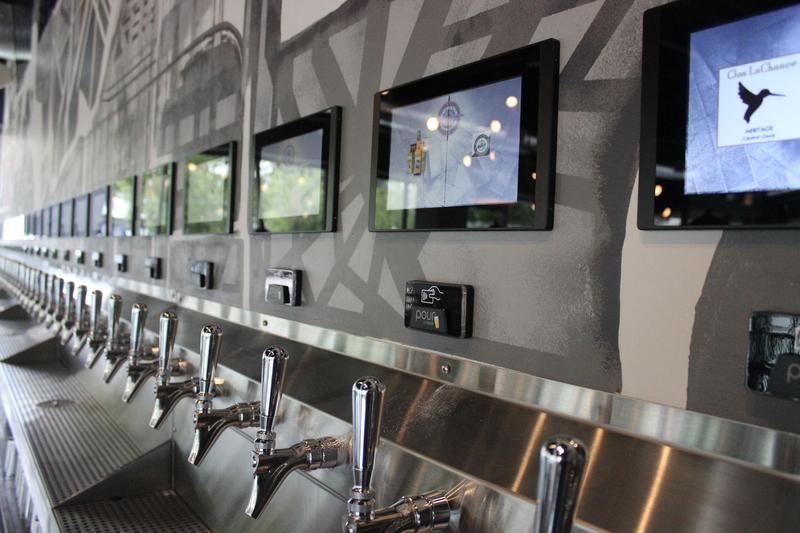 Using Pour My Beer technology, iPads will measure the ounces and tabulate the cost of each beer, eliminating the need for traditional bartenders or servers. Staffers will be stationed near the wall to assist and give suggestions. For folks who don't want to go the do-it-yourself route, the taproom has a small traditional bar tucked in the corner, where customers can order beer and cocktails with locally made spirits from bartenders. The beer selection will rotate as the seasons change. Right now, summery beers like Empirical Brewery's Up Cork Passion Fruit pale ale and 21st Amendment's Hell or High Water Watermelon wheat beer are the focus. 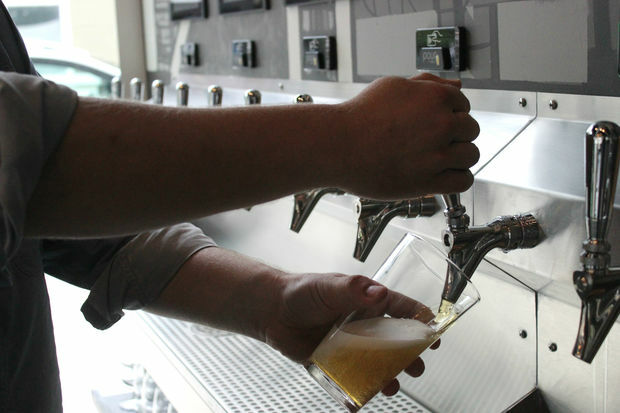 "Our goal is to put as many different beer brands through these taps as possible," said Enarson, who added that lineups will be posted on the taproom's Facebook and Twitter pages in advance. The taproom doesn't have a kitchen, so it won't be serving food of its own. But Enarson said he and Swanson are planning to partner with a neighboring restaurant that would allow customers to order off a menu and bring food in. 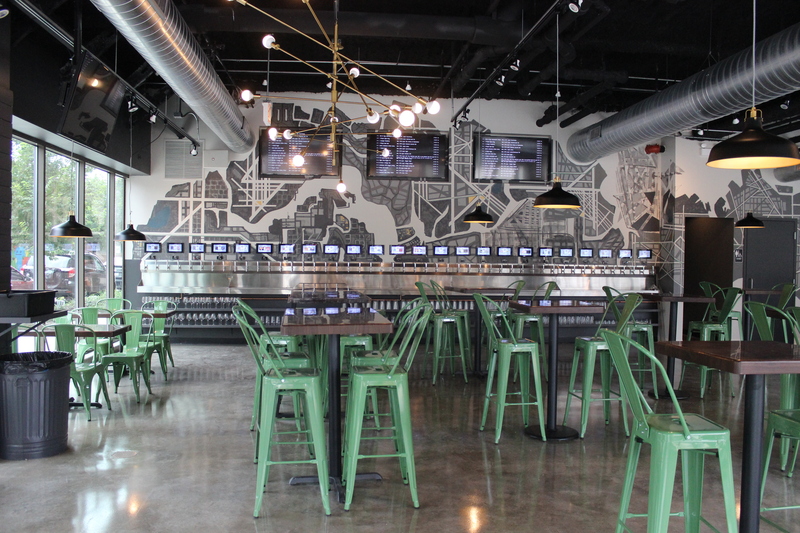 Navigator is the latest "pour your own beer" taproom to land in the Chicago area. 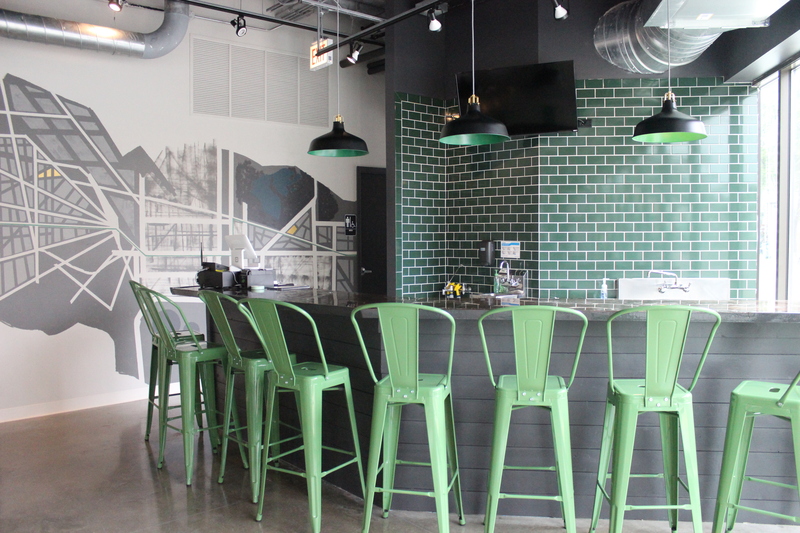 Tapster, 2027 W. North Ave., opened in Wicker Park, and Red Arrow Tap Room opened in suburban Elmhurst. Beginning Saturday, Navigator Taproom will be open noon to 2 a.m. Saturday and Sunday and 4 p.m. to 2 a.m. during the week. For more information about the taproom, visit the website. Co-owner Tim Enarson poured his own beer at the tap wall.